Four of the best things to do for your health. 1) Don’t start smoking. Stop smoking if you’ve already started. If someone asked you to pick up a habit that increased the risk of all of the following (and would cost you roughly $33-77 dollars a week depending on where you live, brand, etc), would you do so? Here are some of the things that smoking increases the risk of: lung cancer, colon cancer, bladder cancer, esophageal cancer, kidney cancer, pancreatic cancer, cervical cancer, vascular disease including aortic aneurysms and strokes. It increases the risk of fractures in post menopausal women. It increases the risk of low birth weights in infants. There is an increased chance of developing cataracts. For men in their 30s and 40s, it increases the risk of erectile dysfunction by 50%. According to the CDC, smoking contributes to 443,000 deaths annually in the U.S.
2) maintain a healthy weight. 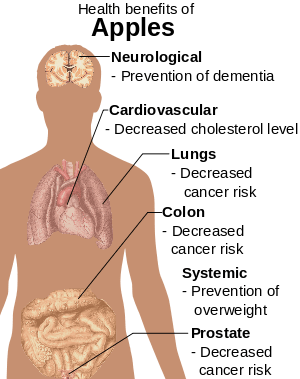 obesity raises the risk of multiple diseases: Diabetes Mellitus – type 2, high blood pressure, colon cancer (though the mechanism isn’t known how). It increases the risk of breast cancer (adipose tissue has an enzyme that converts testosterone to estrogen), osteoarthritis and more. There are no easy ways of doing this. At its simplest it means taking in the same amount of calories you expend. Granted if you’re overweight, you need to expend more calories than you take in. On top of helping maintain a healthy weight, excercise has many beneficial effects. Exercising reduces the risk of alzheimer’s disease, some cancers, it can improve mood, helps reduce blood pressure and can help prevent and treat diseases such as type 2 diabetes. The suggested minimum is 150 minutes of moderate physical activity a week, which comes out to approximately 20 minutes a day. It can be something as simple as walking. The what of exercise (what kind) is less important than the regularity of actually getting exercise. 4) Have a healthy diet. Diet is the mainstay treatment in a lot of diseases. Whether it’s DM-2, high cholesterol, coronary heart disease (even if you’re on medication for any of these, maintaining an appropriate, healthy diet becomes no less important). In one study coming out of Lydon, France (known as the Lydon Study), people who were put onstandard treatment and who were switched to mediterranean diet with N-3 fatty acid supplementation (as opposed to just the standard treatment) decrease their mortality after a heart attach by 66% (their mortality went from 17% down to 10%). This was independent of weight loss, decrease in cholesterol, etc. A dietary/lifestyle program promoted by Dr. Ornish which uses lifestyle changes, exercise and a vegetarian low fat diet (10-20% of calories from fat rather than the 20-30 used in the AHA step II diet) has been shown to reverse Coronary Heart Disease and is covered by medicare. A mediterranean style diet is also associated with decreased death from heart disease, a decreased risk of certain cancers as well as a decreased risk of dementia. At this point I won’t go into a huge discussion about diet (I’m likely to blog more about this in the future on multiple occasions).